Apologies that it has been quiet on the blog front. Mr Birdie and I jetted of to the west coast of America during half term and then we have been busy catching up with friends and meeting our gorgeous new nephew Elliot (congratulations Ian and Steph!) I plan to do a blog post on our foodie adventures in America and have a couple of recipes to catch up on but for now here is my most recent adventure in baking. Autumn is in full swing and comforting, warming baking is the order of the day. This recipe for toffee apple pie is from Ruth Clemens of ‘The Pink Whisk’ which you can find on her blog here. 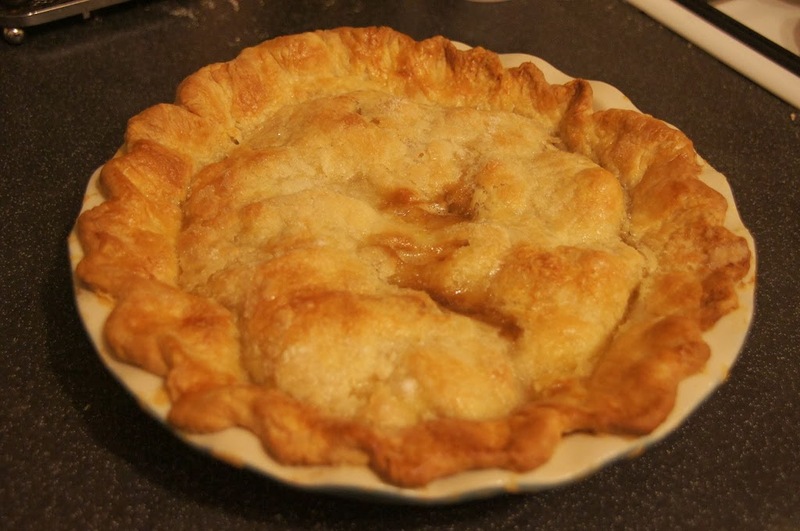 I’d never made an apple pie before and as I think I’ve mentioned before pastry scares me. This recipe uses flaky pastry which I was surprised to find was actually quite easy (for someone who has a pastry phobia!) I am quite tempted to try it again for some mince pies this Christmas. I was pleased with my first attempt at this recipe however I did find that the toffee sauce separated and a lot of butter was at the bottom of the dish (having read comments on The Pink Whisk website other people have had this problem too). It did meet my husbands approval despite this! 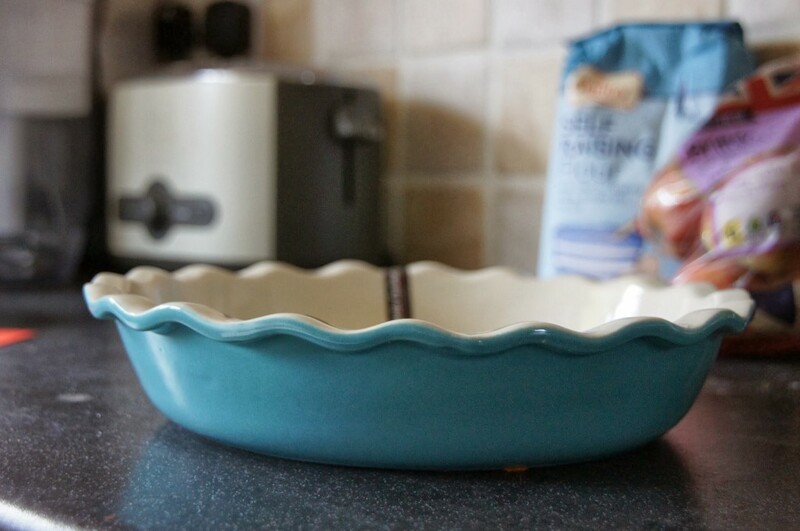 You will need an 8 inch pie dish which was something I didn’t possess so this was an excellent opportunity to go shopping. I purchased this lovely teal number in TK Maxx.